Watsu® is a gentle form of body therapy performed in warm water, (around 35°C.) It combines elements of massage, joint mobilisation, shiatsu, muscle stretching and dance. The client is continuously supported while being floated, cradled, rocked and stretched. 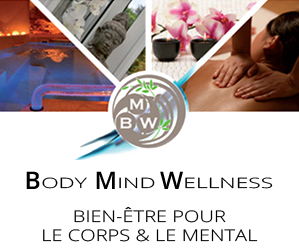 In combination with the deeply relaxing effects of warm water and its nurturing support, this kind of bodywork provides a range of therapeutic benefits and potential healing on many levels. Imagine floating in a warm swimming pool and listening to a soft and relaxing music. Your eyes are closed and your ears are under the water, so the world starts to fade away, leaving you just with the warmth and sense of weightlessness induced by water. Moments of stillness alternate with rhythmical, flowing movements. Without the weight of the body, the spine, joints and muscles are manipulated and freed in ways impossible on land. The gentle, yet deep stretching movements bring about a state of deep relaxation, which encourages the release of stress, muscular tensions and joint restrictions. It is no wonder people speak of states of bliss and levels of relaxation never before imagined. What are the benefits of Watsu®? Many clients will come with specific pain syndromes and movement restrictions due to injury or surgery while others seek Watsu® for the experience of relaxation, blissful letting go and the quiet meditative stillness it can induce. Its therapeutic effects include increased mobility and flexibility, muscle relaxation, fuller deeper breathing, reduction in anxiety and stress levels, less pain, improved sleep and digestion and a general sense of wellbeing. Each person's experience is unique and varied. For some the focus will be on the physical effects of stretching, relaxing and freeing the spine and joints. Others might experience emotions, new personal insights and/or old memories. Many remark on the deep sense of ease and lightness experienced during a Watsu® session; or a sense of nurturing, safety and relaxation at a level never felt before or remembered from 'long ago'. Baby swimming is a fantastic way to further a sense of safety and wellbeing in your little ones. The swimming sessions are playful and designed to acquaint the baby with the pleasure of floating in water. Guided by a qualified professional, your baby will learn to love the total freedom of movement while building core muscle, co-ordination and trust. It will discover how to be at ease in water and also learn valuable safety skills that will help keep it safe in the water for years to come. It’s a healthy physical workout that strengthens muscles, heart and lungs. For babies, regular swimming has a positive impact on sleeping and eating patterns plus it's great for developing social skills and trust.